We all need to breathe easy in our life and proper financial planning is the key to have freedom in our life, and it is very important when we retire because a proper fixed income is must in your golden age to live comfortably. Brylaw accounting is a firm who are experts in the field of preserving and enhancing your personal wealth and giving special attention to your need. But the above mentioned expertise is only one of the activities Brylaw accounting performs. Life is long and full of surprises. We all need management and a customized and comprehensive financial plan that will reduce risk, improve portfolio and ensure safe future is what everyone require. The other area of expertise with Brylaw is to plan your children college education by having the ability and financial foresight to calculate the amount of money you and your child will need. Diligent analysis of assets and periodical review of the portfolio will allow letting the customer know the shortfalls. That is why by developing a best possible savings plan Brylaw can give you risk tolerance and high return of investment. Bad things like accidents can happen, how, when and where are impossible to foresee because there are certain things which are beyond our control. Brylaw accounting has the experience to create a plan for you to Protect your family if you suffer an accident by making sure you have sufficient funds in your time of need. We all have certain aspiration that we expect from our portfolio and we always set our goals accordingly. Brylaw will help you spot and give you the right approach desired to take advantage on your investment returns and minimize your risk. Braylaw accounting has an excellent plan for by providing when it comes to passing your estate on to your heirs. Brylaw expertise can ensure by increasing the value of the estate and by saving tax dollars, professional fees, and court costs. There is a very old statement, "cash is the king". If it is so, then cash flow is the oxygen that keeps the heart of your business pumping. It is the main diet of your business that keeps your profit healthy. Cash flow is one of the most critical components for small and mid - size businesses which needs to pay extra attention to manage it. If I define the term Cash flow management, principally it is the process of monitoring, controlling, analyzing, and adjusting your incoming & outgoing cash. Many a profitable business turned bankrupt because they often lost their control on outgoing cash. Firms who take it for granted and never concentrate on the cash flow management, cannot thing of playing long innings. • To achieve higher rate of success, pre-planning is always important. Identify the possible shortfalls and treat it as a warning for yourself. Take all the possible actions in advance which can power you to face the upcoming situations. • Always insure the sufficient fund handy so that you can pay all the suppliers/service provider & vendors. • You must have a master command over unwanted expenses. When your outgoing amount flow is higher than incomings, it starts indicating the future troubles. Be alert of it a make a strategy of how to avoid unnecessary expenses or put them on least priority. • If you are a start-up company, always set a priority of your outgoing cash and compare with fund in hand/possible incoming cash. • If possible, always keep a small note handy which content the key sources of incoming cash and the priority expenses. • If you are failed manage your cash flow or facing trouble, seek out for an expert advice or higher a third party firm like Brylaw Accounting Chino Hills who can guide better of when, where, and how your cash needs occur. On a closure note, to insure the cash flow and have a command over it, you should always have the answer of two questions: "1. what is my current balance?" and secondly "What amount I've to pay in coming 3 months?". This question will help making strategy of your future finance sheet. If you are getting satisfactory answer out of it, then you are a smart planner otherwise you need to think deeply over it. Always remember that "cash is the bloodline of your business which is necessary to make your business healthy". Everyone has heard the phrase “The power to tax is the power to destroy.” Few know it derives from an 1819 Supreme Court ruling. 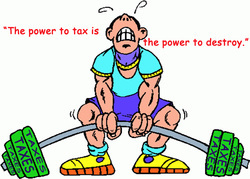 In McCulloch v. Maryland, Chief Justice John Marshall, writing the majority opinion, held “That the power to tax involves the power to destroy[... is] not to be denied.” This phrase is universally taken to mean that the government's power to tax is a terrible weapon that must be reined in as much as possible. Not only are the corporations leaving, American citizens are, too. In both cases, it is taxes that are driving them away. A few times a year, the Treasury Department publishes a long list of names announcing all of the Americans who have lately abandoned their U.S. citizenship. According to the legal website International Tax Blog, the number hovered around 500 a decade ago. Last year, it hit a record high of nearly 3,000. Brylaw accounting follows strict U.S government tax laws and has come up with innovative ways to reduce the burden of taxes by providing the best possible financial solutions. When you think to start business, one of the first question arise in your mind that what type of business you want to setup. Either it should be a limited liability company or partnership firm or proprietorship either. This is a very important decision because you need to line-up the further legal and non legal formalities accordingly. You need to decide the business structure as per the nature of business and most importantly your budget. You also have to set the liability implications for investments you make into your business. Because investment is backbone of any business. But before that, it is very important to research & understand the business type that is best fit for you. Once you are done with basic setups like location, name and nature of business the very first things appears is the documentation formalities and legal setups. No matter what short of business you are planning to launch, there are various things that you need to keep in mind. Here I am talking about the documentation structure that is key part of any business. There are several formalities like Business Registration, Tax Registration, Various set of Licences and other legal documents that need to be handy before you set to go your business live. You always have the open option of doing the paperwork yourself, or by seeking help of a third-party consultant. You should choose the option that you are most comfortable and within your budget. Since these are the legal concerns so I always recommend to higher an expertise firm like Brylaw Accounting who can take these burdens away from you and make sure that you are not missing anything. 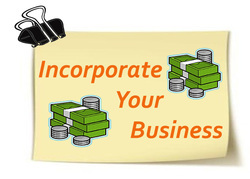 Incorporating your business is great idea but you must be thorough with the basis homework and required stuff. Never be in hurry while taking any decision. You just needs to Keep calm and move on ! 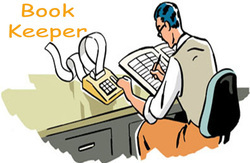 There are many misunderstandings of what are the rolls of bookkeeper in business. Every business is required to keep all the record in the sequence of transactions and activities it undertakes, for a given period of time which is not possible without a bookkeeper. An expert bookkeeper can help you keep accurate records for a range of purposes. Bookkeeper is an individual, group of experts or an organization that is responsible in recording the financial transactions in a significant manner. Firms like Brylaw Accounting can be one of the best example if it. They insure that all your business transactions are being recorded in their respective books. He keeps his eyes on every financial and other affair. 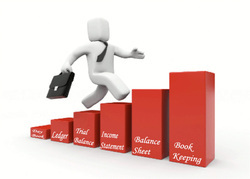 In short bookkeeper is one of the most important assets of any organization. Though it depends upon the size of business but a strong bookkeeping system is the key to manage your accurate account records. He keeps the track records of all the banks, loans, official assets, cash flows and other account affairs. He collect, identify and analyze the transactions and keep them in respective manner. He also provides necessary information to assist in preparation and filing of tax returns which makes the taxation process easy. Most importantly whenever you face any legal discrepancies, your bookkeeper can save you smartly. In short if you are running a business, no matter it is small, mediocre or the large one, you cannot ignore the importance of a bookkeeper. So if you are thing to start a business or already have, contact an expert book keeper or a book keeping firm like Brylaw Accounting who can help you take control of your finances. Taxation is a very complicated process which cannot be finished over night. It is a terms which include your whole earning and expenditure cycles throughout the year. State government often change the tax policies so when you sit to calculate your taxes, you may have to face multiple discrepancies if it is not planned. 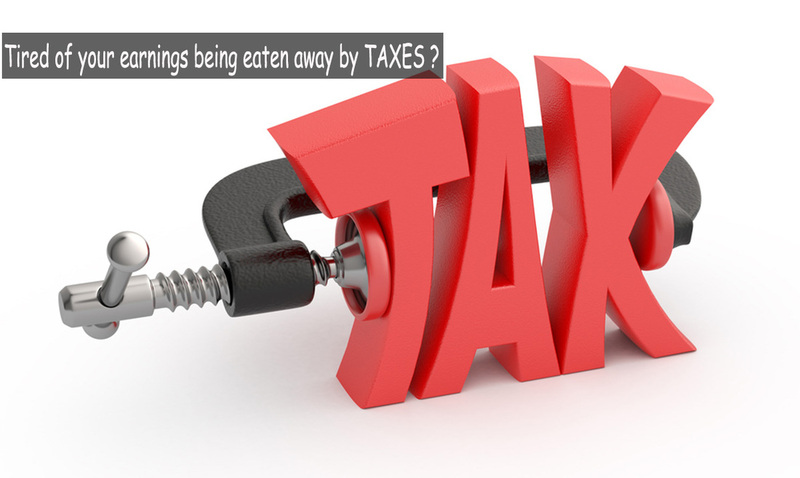 The idea to plan your taxes is to arrange your financial affairs and minimize your burdens. It also saves your money and time in long run. Every year you plan your income and expenditure for the rest of a particular duration. Based on these plans you move forward for the rest of the financial years. The success of this plan depends upon how you have planned your taxes. If you’re the director of a business, or you’re involved in running a company’s accounts, it is very important to have significant plan of all the taxes. Because only a proper planning can ensure you are on the right track to avoid the tax discrepancies. Every investment like buying shares and bonds, insurances, buying fix assets, etc. directly impacts on your payable tax amount. A proper tax planning can support your investment decisions. Similarly it is applicable for loans, debts and other liabilities. 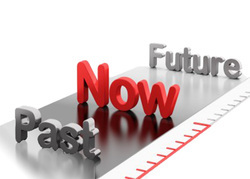 You can easily analysis your future responsibilities if your tax is well planned. In order to avoid the tax hassles, it’s better to seek expert consulting. Firms like Brylaw Accounts can be good options. Because tax planning is best done only by an expert tax consultant or a similar firm. Because they can guide you, how to plan your advance taxes and avoid the penalties. They assess your financial situation, and lookup at your financial goals. If I’ve to define Bookkeeping in my own words, it is an art of recording, classifying & summarizing the financial transactions in a significant manner. Whether the business is small or medium or a corporate house, bookkeeping is an important activity which creates your road map of the success. Without proper bookkeeping, your business could very quickly and easily crash into a wall. Other than businesses some of the individuals or non profitable firms also need to maintain it. Booking contents the accurate information that helps analysis the financial health of the company. You can easily track all the revenue flows and plan the future goals accordingly. It also contributes in tracking the pending payments, dues follow-ups, priorities and other major transactions management. When you sit in the board meeting for the planning your next agenda, these records can launch a platform and make your decision easy. It also aids in keeping in line with the budget, analyzing the gross profits & loss, determining the status of the business and anticipating cash flow issues. On a very important note, all your records must be in significant manner because poor bookkeeping may leads various problems like overpayments & penalties. Be advised that since accounting is not one of your core competencies, so its better to outsource it to an expert firm like Brylaw Accountings who can smartly handle it. It does not only save in time and money but also offer peace of mind. It is something; everyone wants to do in the best possible way. When you calculate your payable taxes, the only thing that flood in mind is how to save the maximum and pay less. It is not an easy task; you need to be very smart while planning your investments and expenditures. Even you cannot treat it as a one day game because it is lifelong exercise which benefits you at the time of filing tax. Before you decide to invest in any tax-saving skims, don’t be in hurry while taking decisions. You must review the guidelines and rating of the most widely used options under the tax saving policies. Investment funds & Insurance policies have traditionally been a very popular tax saving tool considered by tax experts. Most of the times you fail to understand that every investment is not tax-free. So I would suggest you go through the terms carefully and be assure about the tax saving part. Secondly, the state government keeps introducing the new tax policies. So if you are not well sync with the latest guidelines, you may have to pay for it. Thus, try to maximize your knowledge about the same and file your return accordingly. Another key point that I would like to mention here is, don’t try to manipulate your financial facts and hide the actual information. These may offer the immediate benefits but it is equally dangerous for the long term. I would rather say if you are unable to get the idea that help save the maximum; seek the attention of an expert firm or an individual tax consultant. There are various firms out there who can concrete you about saving your taxes. Firms like Brylaw Accountings can be one of the good option for your finance and tax affairs. “Death, taxes and childbirth! There's never any convenient time for any of them.” ― Margaret Mitchell’s these lines are enough to describe the uncertainty of the tax affairs. Maintaining tax records are one of the biggest headaches which steal our peace of mind if it is unmanaged. And the story doesn’t end here. The keep changing rules and state tax policies also increase the label of pain. Often you found yourself stuck between the bundle of documents and you’ve no clue of the next step. This is the situation when you seek the guidance of a specialist who not just advises you but also helps in reducing the complexity. I personally believe that if you are facing these situations; you must consult a firm like Brylaw Accountings. · Being an expert firm they can guide you, when and where to invest. If you are taking these decision of you own, you may scared if what will happen. · Since they are always get updated with the latest policies and various guidelines. Thus they can make sure that your taxes are being paid on time without any mismanagement. 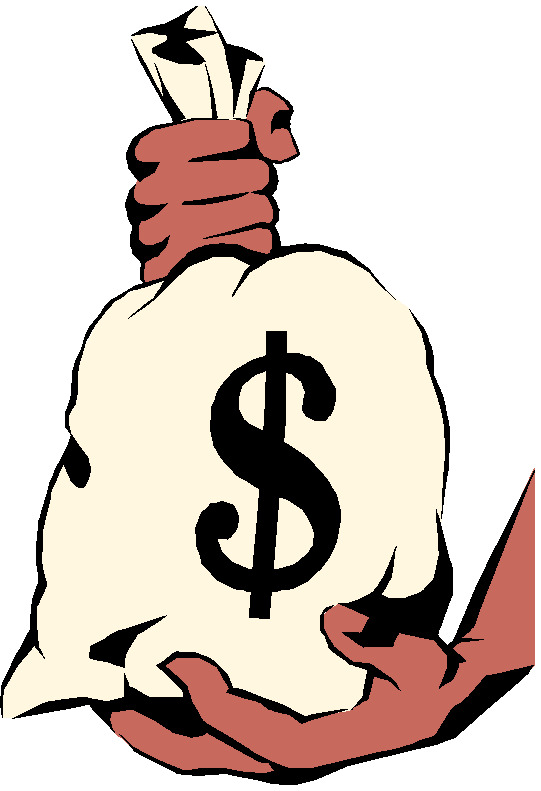 · They can manage the balance between your all major financial affairs like loans, Cash flow and assets. By this way, they make sure you pay less and get higher returns. · The key note that I would like you to read is if you had a bad record. For example, if you have been charged for penalties. This is the point which you cannot handle of your own. Only an expert consulting can save your reputation. It entirely depends, how you are managing your financial affair. But a good consulting firm like Brylaw Accountings can manage your tax calendar easily and build your strong financial roadmap. Everyone desires a life with peace which is only possible when you have a balanced income flow. It is not necessary that everyone has a fatty wallet. So it’s very important to have a balance between your earning, investments & returns. That is why we need to have a strong plan for our personal finance. It is a practice of preparing a personal roadmap for the financial well being, which tells you how to invest your money to achieve your goals and save taxes. Reducing taxes, insuring maximum returns on investments, retirement plans & reducing expenses are the major parts of the finance planning where you need to focus while planning our financial goals. 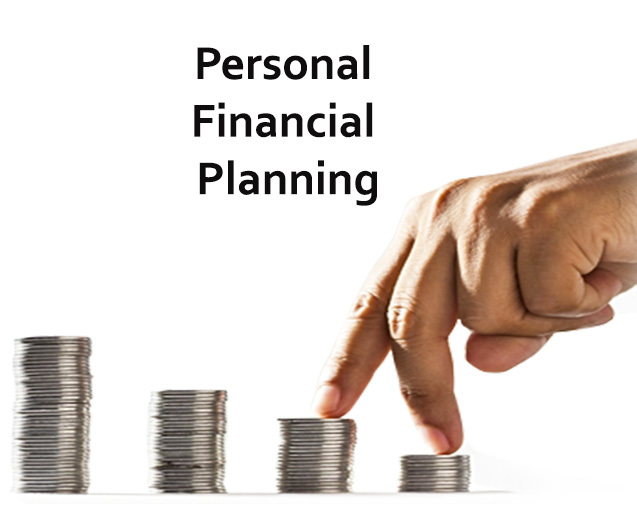 Personal finance looks at how your money and future is managed. Sometime it happens that you are in search of an expert individual or a firm like Brylaw Accounting that can help in managing and planning your financial affairs. Because they have better understandings of latest market trends and risks. They provide a pool of services to monitor the investment flows and control the number of damages. They also help in identifying your priorities and setting goals to achieve them in the given limitation. An expert planner or a firm knows very well, how to make the most of your money. They are in sync with the latest policies and regulations of the state government and rich understanding of expected risks. So it’s always better to take decision under supervision of an expert firm and increase the peace of life.